Songs Of The Week: Acid Carousel, T.Y.E, Cardo & More. Check Out New Releases From Dallas-Area Acts Cardo, Paradise Loft, KAZNYK, T.Y.E, Acid Carousel, Yella Beezy and Eleven Hundred Springs. RIYL: Actually delivering on your “2018 is my year!” resolutions. What else you should know: You’re not having a better week than Cardo, I promise. For starters, the superstar beatsmith from Fort Worth was one of the producers for Drake’s latest single, “God’s Plan,” which just happened to break the record for most streams in a single day on Spotify and Apple Music respectively. Then it was announced he had a placement on the highly-anticipated Culture II album from Migos. And now we have this, his collaboration with Detroit rapper Payroll Giovanni. On Big Bossin Vol. 2, Cardo creates a breezy West Coast soundscape that allows Payroll Giovanni to do his thing. It’ll satiate old school hip-hop fans and youngsters alike. What else you should know: This song is less than two minutes long, but it does a lot in that short period of time. The lush, reverberated vocals that linger through the track coupled with an attractive falsetto are pretty much the only constant here, as the beat goes through ebbs and flows of crunchy bass, guitar-driven moments, smooth ambiance and back again. The abrupt end to the song is a nice little cliffhanger, too. Here’s looking forward to Pt. 2, which we assume must be coming, right? What else you should know: The approach that KAZNYK and DRNRDX take on this four-track EP deserves a round of applause. It’s been about 12 years since I’ve seen City Of God, but as soon as I heard “Angelica” and “The Rise of Lil Ze,” I was instantly reminded how much I loved the film. The two truly captured the essence of the film — sure, with the help of sampling music from the film, of course. But even if you haven’t seen the film, those two aforementioned songs are bangers, for sure. RIYL: Rambling, swinging back and forth through your thoughts. What else you should know: If T.Y.E could go a week without releasing quality music, we’d go a week without mentioning him here in this column. But, hey, here we are again. T.Y.E’s versatility simply cannot be understated. While he can get voracious on a beat, complete with growls and rapid-fire deliveries on other songs, “Playground” is a wonderfully tempered track with a subtle yet enticing beat that allows the artist to show off his dexterous flow and empty the endless thoughts that enter his psyche. It’s an endearing track for its honesty and vulnerability. RIYL: Not waiting for the sequel. 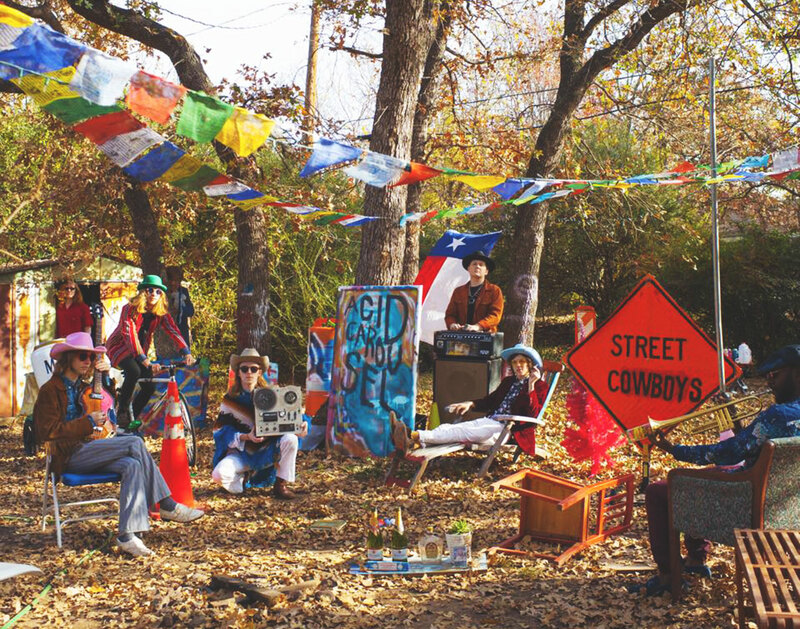 What else you should know: Yesterday, the Dallas Observer premiered “Captain Marigold” from this young, whimsical, retro outfit in advance of its new EP’s release. As writer David Fletcher mentioned in his write-up of that song’s premiere, “Captain Marigold” is “darker and drives harder than the band’s past recordings. It trades free-spirited dreaminess for a nightmarish vision of a doomed boat ride.” In general, the track is a huge stride for a band that delivered something as beautiful and breezy as “Summer Girls” last year. It’s a testament to the band’s progression, as well as its growing presence as the forefront of the area’s music scene. RIYL: Big rocks, big chains, big blocks, big glocks. What else you should know: Yella Beezy currently has a street hit on his hands with “That’s On Me.” If you get a chance, go check out the artist’s IG Stories on any given day and you’ll see at least a dozen videos of fans rapping the track that Beezy has reposted. That song features Yella Beezy’s signature half-sung, half-rapped Southern croon, albeit delivered with less edge than he has shown on other hits like “Trap in Designer.” Alas, it’s just one track featured on his latest mixtape, Lite Work, Vol. 2. “Sleep On” is a superb, chip-on-your-shoulder track also worth checking out. Once you hear G$ Lil Ronnie’s opening line of his verse on that one, it’ll quickly be a new favorite. What else you should know: The Dallas country scene’s been experiencing a bit of a moment lately thanks to the successes of acts such as The Texas Gentlemen, Paul Cauthen and Vandoliers — but, if you wanna see those fast-risers gush on someone else’s talents, just bring up Eleven Hundred Springs around them. It’s deserved respect, too, as Matt Hillyer and his crew have been doing the damn thing since most of those other players were still in diapers. And on their first new batch of tunes since 2011, they show that they haven’t yet lost a step. And, hell, they can still learn some new tricks, too. When headlining the Granada in celebration of the new album last weekend, Eleven Hundred Springs covered their friends in the Toadies’ classic song, “Tyler.” Talk about a cool moment! Previous ArticleFortress Fest ’18 Snags Father John Misty, RZA & More. Next ArticleGrowlersations, Ep. 12: Kevin Carr and Corey Dickenson of Community Beer Co.